Military funeral to be held at The Anzac Memorial Chapel of St Paul DUNTROON ACT, commencing at 1300 on Thursday 24 June 2010. No flowers by request of the family. Dearly beloved husband of Nan. It was with much sadness that I learned today of General Whiteaw's passing. I am unable to attend the funeral service, but ask that my condolences be conveyed to Nancy and the children. I first met John Whitelaw in 1984 at a National Tree Program Ministerial Advisory Committee meeting when I was the National Vice President of Greening Australia. I went onto to become National President and John became a Consultant to Greening Australia. We undertook many projects together and improved the role and influence of Greening Australia. Many others have followed but those early days saw the development of significant foundations. John's contribution to Greening Australia was remarkable. I was most impressed with John's dedication to and insightful aspirations for Greening Australia. Even after my active involvement with Greening Australia ended I kept in touch with Nan and John until the last few years. It was always a pleasure to spend time with them. I expect John’s wise counsel will be missed by many. It was my pleasure to have known and worked with John Whitelaw. 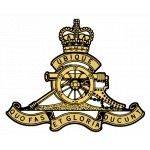 John was a good friend to me & the 2/14Th Field Regiment Association.He was instrumental in placing some of our Regimental memorabilia in the RAA Museum at North Head. Belatedly, we extend our sincere condolences to his widow & family.